Are all stars created equal? 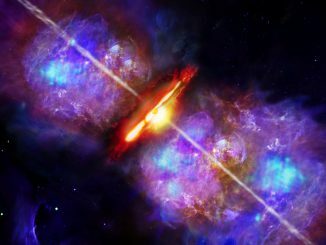 Astronomers have found the strongest evidence yet that the formation of massive stars follows a path similar to their lower-mass brethren — but on steroids! 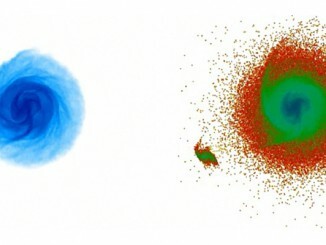 The new findings show that the episodic explosive outbursts within what are called accretion discs, known to occur during the formation of average mass stars like our Sun, also happen in the formation of much more massive stars. 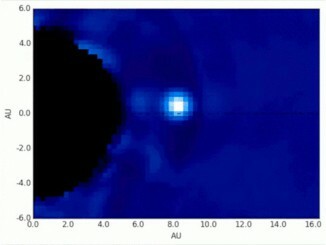 Ripples in gas at the outer disc of our galaxy have puzzled astronomers since they were first revealed by radio observations a decade ago. Now, astronomers believe they have found the culprit — a dwarf galaxy, containing dark, unseen material, which skimmed the outskirts of the Milky Way a few hundred million years ago. This method to characterise dark matter marks first real application of galactoseismology.